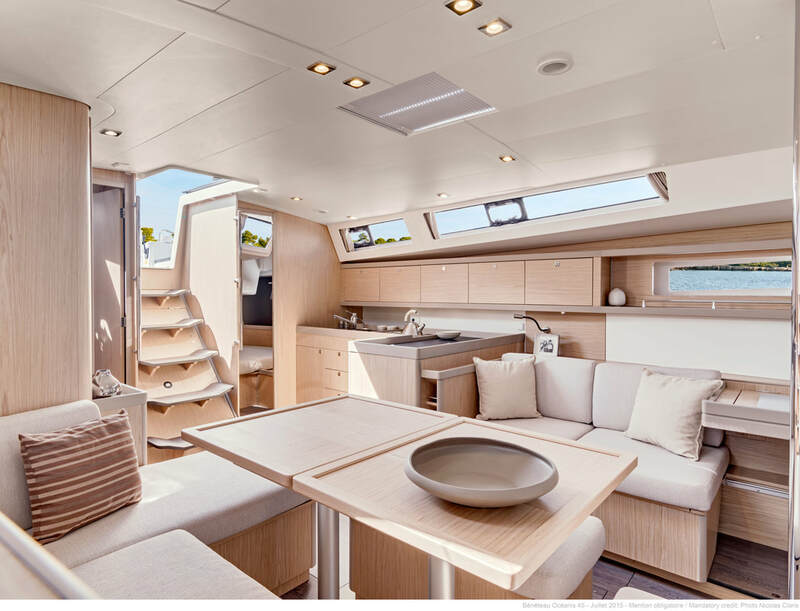 The Oceanis 45 is a sailing boat of the prestigious French shipyard Beneteau that meets the perfect conditions of habitability and great sailing behavior. 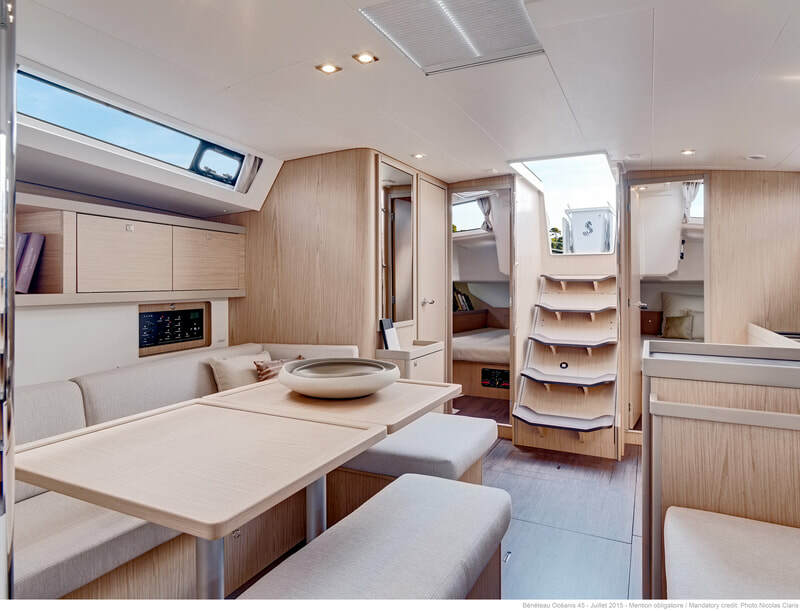 It is ideal for long journeys providing great sailing comfort and life on board. 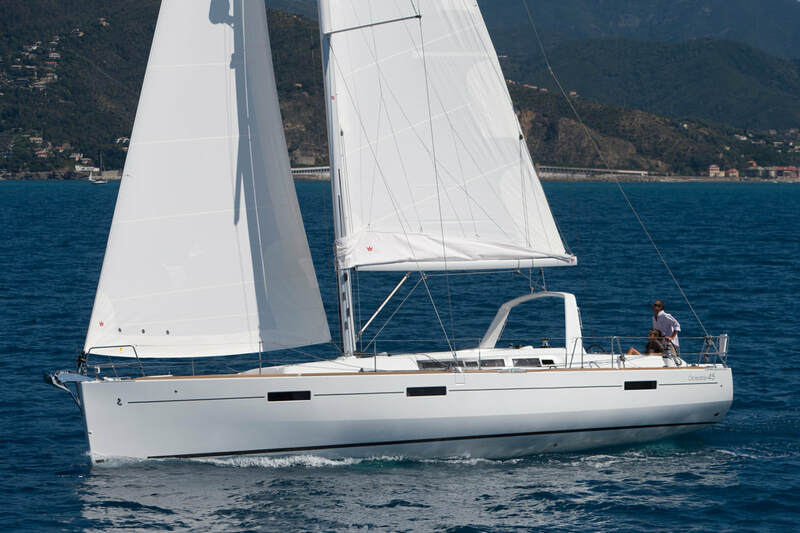 The best option to hire an unforgettable day cruise or a vacation in the Mediterranean from Barcelona. Electronics: LED indoor and outdoor lighting, GPS plotter BG, tablet remote control, VHF, autopilot, AIS, depth sounder, speedometer, anemometer, radio CD mp / USB. 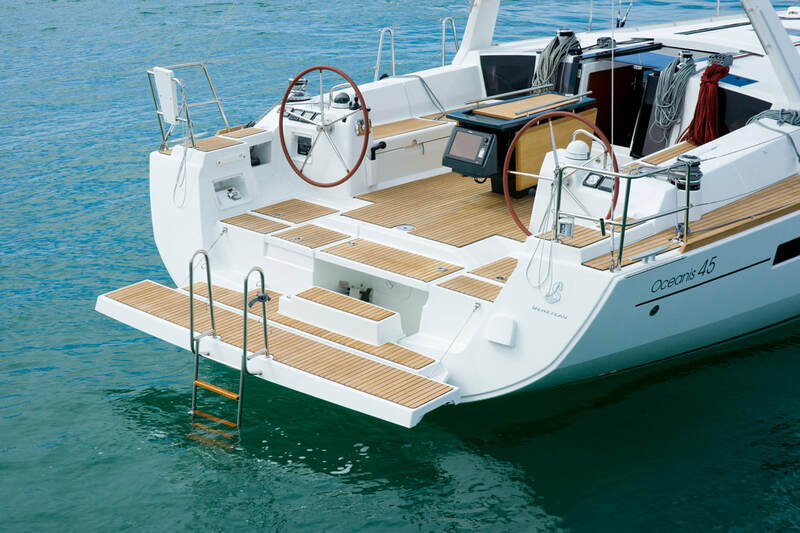 Deck equipment: anchor windlass 1000W + remote control, roller genoa and mainsail, dinghy with outboard engine, shower in cockpit, fixed table in cockpit, aft swim platform, teak cockpit, sprayhood, bimini. VAT 21%, insurance, mooring in Port Olympic de Barcelona, dinghy. Fuel, moorings in different port than Port Olympic, supplies.